Anyone knows the difference between Action Kit 7310 vs 5347? The price is almost double with the later option. 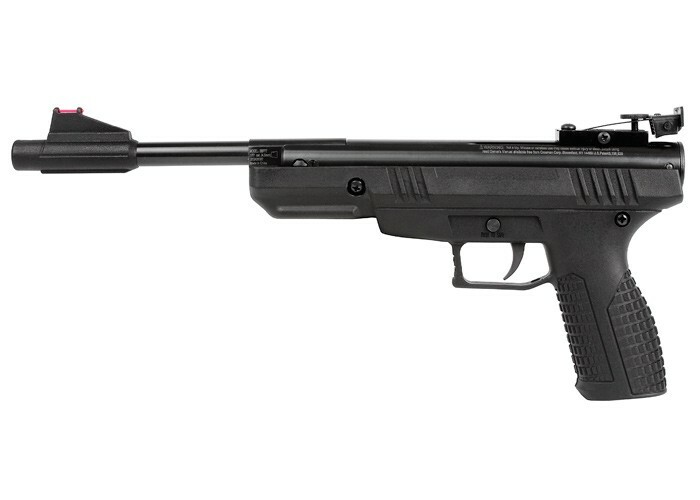 Is there a suitble gas piston for this air pistol? I found only for trail np 8 and other rifles... Is it possible and available to replace a piston for this air pistol and where is it found if exsists? Is there a possibiloty of a nitro piston replacement as it is for the np rifles? If there is so where can I find? What is a good pellet weight for this pistol? You would need a scope designed to hold-up to the recoil generated by this pistol. So no . Does this take any copperhead or daisy bbs? No bb's are just a little smaller and would out of the barrel. Does anyone know of a holster for this gun? No haven't heard of one ? Has anyone made their own custom shoulder stock mod for this Benjamin trail np air pistol? Just made one for mine and love it! I'm working on one now just for fun. Are there any options for a shoulder stock ? Not unless you want to get creative and invent one? I am a novice Benjy T NP shooter. Am convinced that a shoulder stock and a scope would greatly improve accuracy. Is a stock available or can someone recommend something? Plan on using a Center•Point 72004 scope ... is that the way to go? Im sorry maybe its just me , but i would save my money and get something way better. There are so many great choices out there. Read or watch all the articles on this pistol before you make any decisions. Just my opinion. For hunting small game would it be safe to assume that one would need to use a middle-grain pellet? As in 7-8 grains. Not the lower or higher side? Please I'd like to know what hits the hardest but is still accurate. I am using alloy pellets and they seem to not penetrate. It can't penetrate a pan probably 1/16" thick maybe 1/8" please let me know. thanks!! I would only hunt small game and pests with a .22 caliber air pistol, not .177 caliber....a Crosman 1322 should propel 14.3 grain 5.5mm pellets around 440 fps which equals 6 fpe of muzzle energy which is the minimum that I would use for dispatching pests....177 caliber for hunting requires a rifle with velocity ratings over 600 fps to have high enough muzzle energy for humane kills. IMO, this doesn't have near enough speed or bang for hunting. Great plinker though! This gun cannot hit hard, 4.9fpe is the highest I’ve seen out of it with H@N Match Pistol… I’ve used crosman penetrators(average about 640fps) to take out a few squirrels with heart and lung shots at no further than 15 feet, at any greater distance the pellet is just going to embed itself in the hide or bounce off. You really have to be able to hit the soft areas near the vitals, and at close range or you might as well be using a slingshot. use this: RWS Superpoint Extra .177 Cal,... You should use a rifle, but if shooting a rat at 1-2 m range this would do well imo. I wouldn't recommend this pistol for small game. Does this nitro piston -- which I assume is much like a nitrogen-filled shock absorber with a one-way valve of 25 lbs resistance at the lever (the lever being the break-barrel) ever have to be recharged? No, it is a sealed unit. Has ANYONE been able to sight in a benji trail np pistol usin the "iron" sights? WITHOUT havin to take the adjustment screw all the way out? Yes...Three of them! 1st had canted front sight that was 3.8 degrees to the right and 2nd had a canted front sight 1.8 degrees to the right. Was shooting to the left and high due to these non-level front sights. Was still able to get a bulls eye POI on both after break-in with a lot of R. windage and some elevation dialed in. However, 3rd gun is the charm. Except for break-in flyers, both windage and elevation dialed in perfectly @ 10yds (neutral windage and still have full range on the elevation), punching 1" groupings with iron sights and 1\2" bulls eyes with red-dot scope after break-in, using Benji 7.9g HP with average 540fps! Yes...Three of them! 1st had canted front sight that was 3.8 degrees to the right and 2nd had a canted front sight 1.8 degrees to the right. Was shooting to the left and high due to these non-level front sights. Was still able to get a bulls eye POI on both after break-in with a lot of R. windage and some elevation dialed in. However, 3rd gun the charm. Except for break-in flyers, both windage and elevation dialed in perfectly @ 10yds (neutral windage and still have full range on the elevation), punching 1" groupings with iron sights and 1\2" bulls eyes with red-dot scope after break-in, using Benji 7.9g HP with average 540fps! Yes! Move the rear sight forward about a half inch from original position. It will sight in perfectly! Check out my review for details. My solution was to pull the factory sights (front and back), put an archer airguns compensator on the barrel, and machine it and the barrel assembly to accept a truglo ghost ring set (machining in this case is just a matter of drilling eight small holes). So far, RioRand R\G compact dot scope (small open rear window tube) has about 250 rounds on it through the Trail NP with no functioning issues...gives me 1\2" POI bulls-eyes at 10 yds.! With the amount of recoil and lack of rail surface, I don't recommend one. All are different mine shoots the Benjamin hollow points the best. I would sugest to buy a sample pack of the gamo or h & n and go form there. Can I leave the cocking assist device on while I am shooting this and if so will it affect the velocity? Yes you can leave it on and no it will not change the velocity. Does Benjamin offer a mod kit to improve fps? Is the Benjamin Trail NP air pistol shippable to Michigan residents ?? I've had one delivered and bought one locally without having to fill out paperwork, so, no problem with Michigan sales. You can certainly ship to Michigan. It is not considered a firearm. I just had my second one delivered. Unfortunately, only if it ships to an FFL holder for a transfer to you. MI treats this air pistol (and majority of air pistols that less than 30" long) as firearm handguns.